Made in Spain, the Puma IP Ebro fixed blade knife is a fantastic camp or hunting knife. The 3.5" hollow ground full tang blade excels at any medium to large cutting tasks. 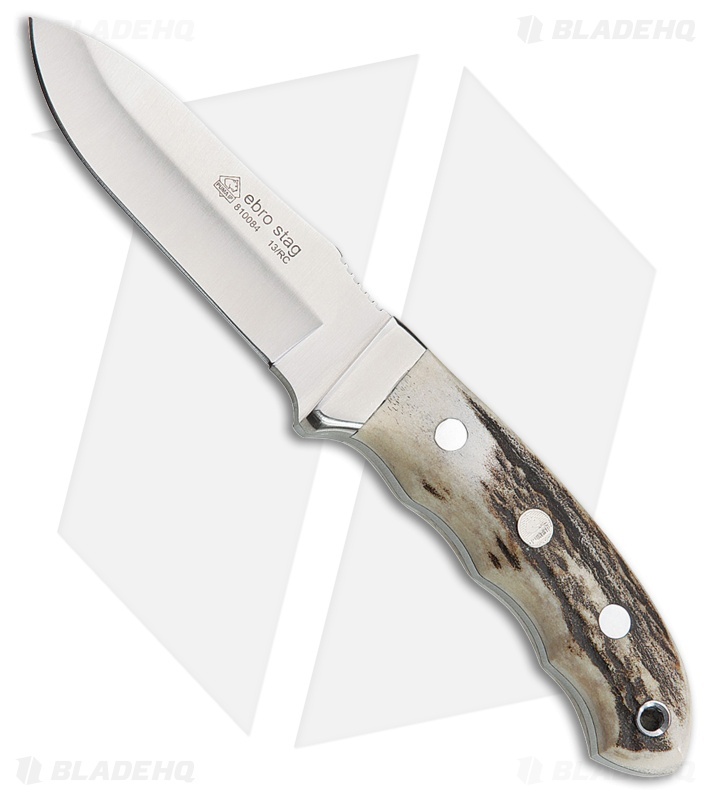 Contoured and grooved genuine stag scales provide a comfortable and secure grip. Included brown leather belt sheath for easy carry in the field.